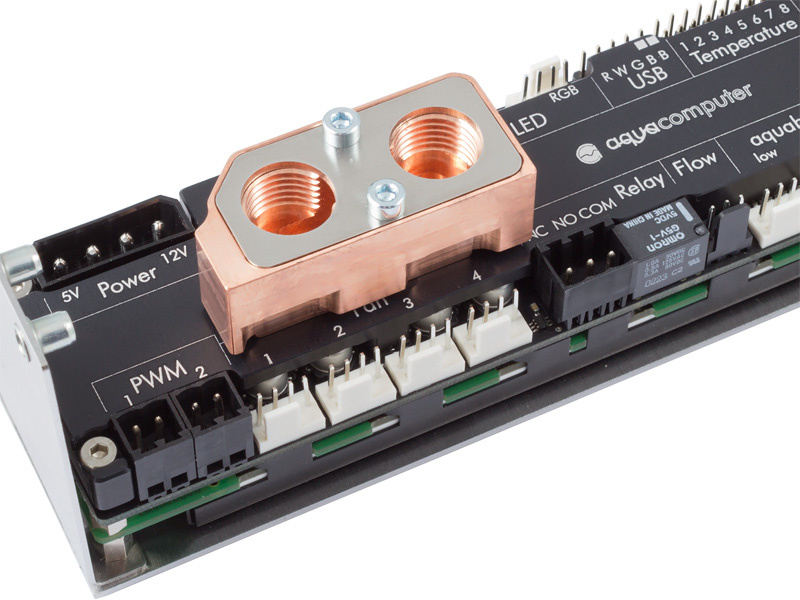 Mounted on an aquaero 6 controller, this passive heat sink improves heat dissipation and thereby increases the maximum power output of the fan channels. 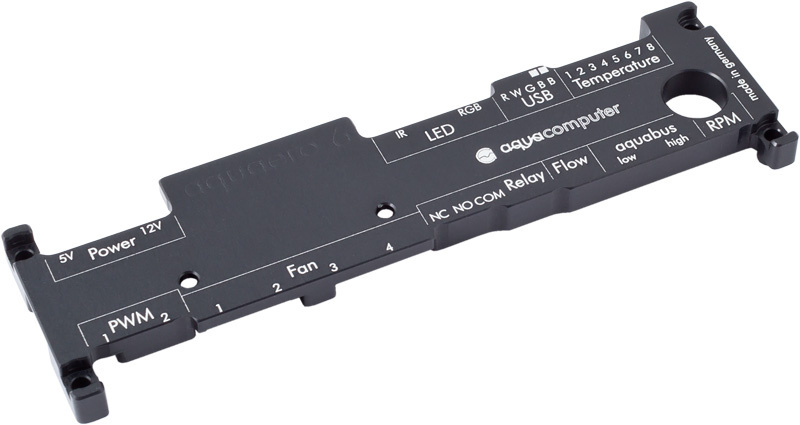 For optional active cooling, the aquaero 5 water block (art. no. 53093) can be installed on top of the passive heat sink. Passive heat sink and Real Time Clock module (art. no. 53127) can be installed simultaneously, additional mounting material is included in delivery of the passive heat sink. 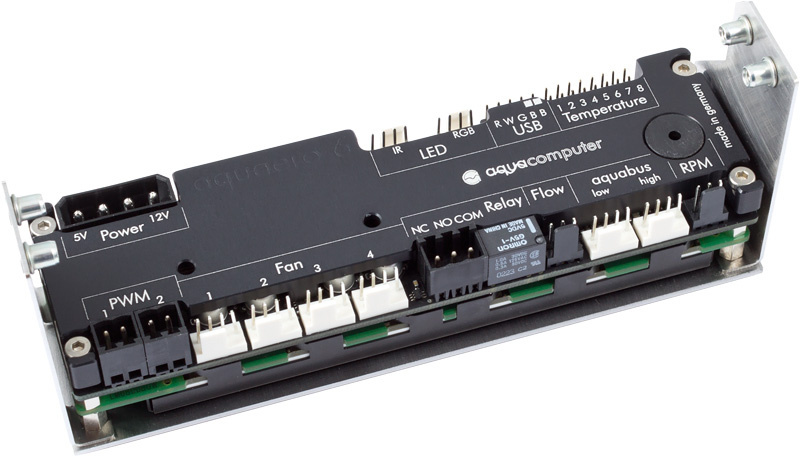 Please note: aquaero 6 and water block are not included in delivery! 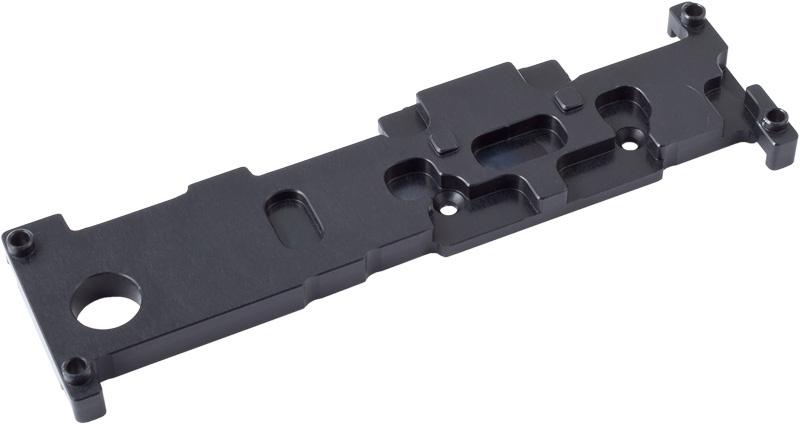 If using the water block that has no second respectively narrower bump (very old version) washers must be used for mounting it. For example 6x article no. 91026 can be used. This product was added to our catalogue on Monday, 14. April 2014.